It was on March 4, 2014 that Live Law reported that Senior Advocate Dushyant Dave had addressed a letter to the Chief Justice of India taking serious exception to the manner in which a 2-judge Bench of the Apex Court, had disposed of 2 Civil Appeals. In fact, Live Law was the first to break the story. Mr. Dave wrote to the Chief Justice of India to take action in a case involving grant of permission by a 2-judges Bench of the Supreme Court, which passed an order to post Civil Appeal No. 9454-9455 of 2010 along with another unconnected SLP (Crl) No. 7232/2013 before it, and then permitted the appellant to withdraw the Writ Petition from the Mumbai High CoSurt itself, as a result of which the damaging observations of the High Court, where it found on merits that the public property is given to a private party at grossly undervalued price had been completely erased. ( Please read the livelaw reports for complete facts and orders ). The members of the Bar point out that if such order by the Supreme Court is allowed to remain, it would create a highly improper precedent by which one can get a judgment set aside, by withdrawing base writ petition or suit as the case may be. Mr. Dave in his letter to the Chief Justice of India, a copy of which has also been circulated to the other judges of the Supreme Court as well, says that his attention was drawn to this incident, which ‘has generated serious “disquiet” amongst the Members of the Bar’ while he was having coffee at the Canteen. As expected, the issue has generated a heated controversy. But what is surprising is the rather muted response of Senior members of the Bar, who are otherwise very vocal in seminars and symposiums in their support for judicial reforms and judicial accountability and standards. The issue has also been extensively covered in the Times of India and other news channels and web portals after it was first reported by 'Live Law', which generated animated discussion in the corridors of the Supreme Court and other courts in the Country. Curiously enough, the Supreme Court Bar Association and most of the lawyer organizations have chosen to maintain a deafening silence so far. Several members are of the Supreme Court Bar Association are of the view that the Bar, as a collective body is forgetting its duties. Even after such important issue has come up in public domain, there is no official communication by SCBA in this regard. 'Live Law' tried to contact the President of the SCBA for an official response but to no avail. When contacted, Ms. Aishwarya Bhati, the Secretary of the SCBA sought time to make known the official response of the Association. Mr. Shekhar, Vice-President, SCBA however, frankly admitted to 'Live Law ' that the Executive Committee of SCBA has not met to deliberate on this issue so far. He however added that the SCBA is duty bound to discuss this issue to have probity in public life, more so, in judiciary. He also said that the matter will be analysed threadbare by the SCBA, and thereafter, they would respond. Barring a few, most lawyers of the Supreme Court Bar, including some of the senior lawyers have chosen to remain silent than to speak out against an order passed under circumstances, which on the face of it does not seem to be free from irregularity and impropriety, if not outright illegality, presumably out of fear of the potential consequences of being critical of the Bench which passed the order. All India Lawyers Union has been among the few lawyers' organisations to take a definite stand in this matter. Som Dutt Sharma, national General Secretary of the All India Lawyers Union, when contacted by Live Law, for knowing his organisation's stand in the matter said : "All India Lawyers Union stands for independent judiary which implies an honest judiciary above suspicion. This incident is likely to damage the image of the institution beyond repair. Since matter has already been brought to the notice of CJI it will be apropriate for the CJI to conduct an enquiry on administrative side and recall the order. AILU demands that the matter be enquired in to." Shri. Som Dutt Sharma has hit the nail on the head. The incident in question, as he correctly points out is likely to damage the credibility and image of the institution beyond repair. It is trite law that justice must not only be done, but also be seen to be done. This golden principle which has guided our judiciary all along, seems to have been given a go-by in the case referred to in Shri. Dushyant Dave's letter. Since the letter addressed by Dushyant Dave has become an open secret by this time, all eyes are now on the Chief Justice of India to see whether an immediate action as sought for by Shri. Dushyant Dave would be taken, given the serious issues of illegality and impropriety involved. 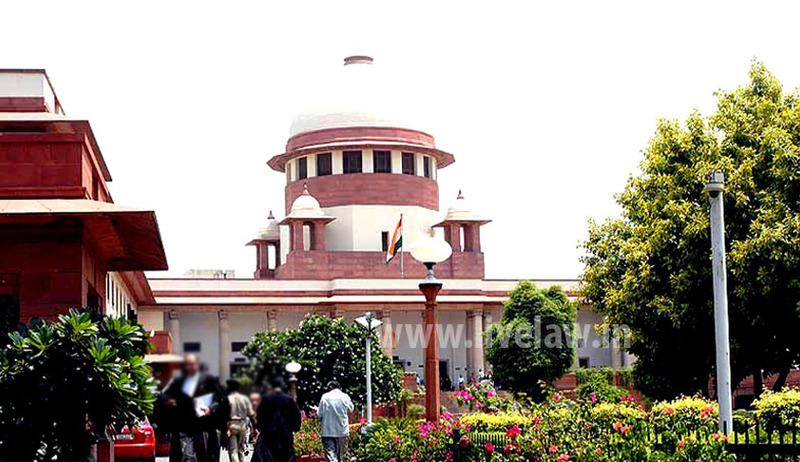 It is imperative that to salvage the credibility of an institution that has taken a beating in recent times, and to reassert its supremacy and dignity, and credentials as the sentinel of the citizens of this Country, the Apex Court intervenes in a suitable manner to remedy the palpable illegality committed by the 2-judge Bench in this case.